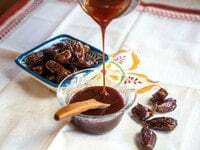 Date Honey Syrup – Recipe for Middle Eastern Silan, sweet condiment made only of pure natural dates. Sumerian legend claims that the date palm was Earth’s first fruit tree. According to their mythology, Enki (god of the freshwater ocean) created the tree with help from Inanna (goddess of love, fertility and warfare) and a raven. 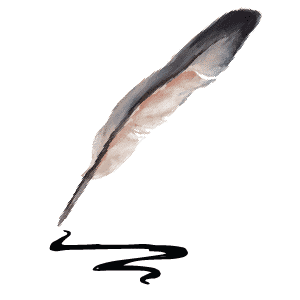 The raven pollinated the trees and irrigated the grove with an ancient tool called a shaduf. In ancient Mesopotamia, the date palm tree served as the inspiration behind the “Tree of Life” concept, which connects earth, heaven and the underworld and provides gifts of fertility, immortality and wisdom. Dates are unique in that they have several stages of ripeness and can be eaten both fresh and dried (the way we most commonly know them). Their sweetness pairs well with cheese, meat and vegetable courses. 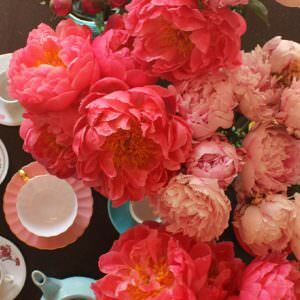 Of course, they can also stand alone as a dessert course– they are quite sweet. Throughout history, dates have been called the “bread of the desert” and the “cake of the poor.” In many parts of the world they are considered an affordable source of nutrition, comparable to rice, wheat and potatoes. They are dried and easily preserved; because of their extended shelf life, they helped to sustain Arab sailors during long voyages at sea. 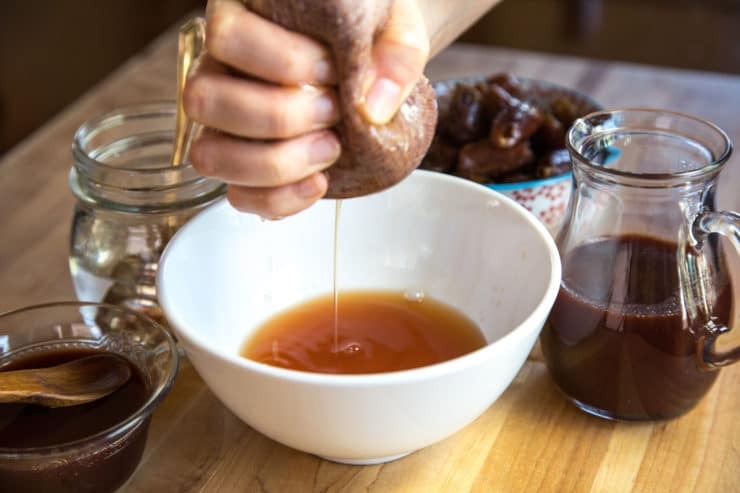 As one of the Seven Species mentioned in the Torah, dates are referred to as “d’vash” which directly translates to honey. Many scholars believe that the Torah’s mention of honey is actually date honey, or date syrup, rather than the kind produced by bees. Today I will walk you through the process of making this ancient condiment, which can be used in a variety of delicious ways. It can take the place of maple syrup or honey in many recipes, adding a depth of flavor to everything it touches. I often use it to liven up savory dishes or to enhance desserts. The date, known as a “tamar” in Hebrew, is a symbolic food for the upcoming Rosh Hashanah holiday as well. 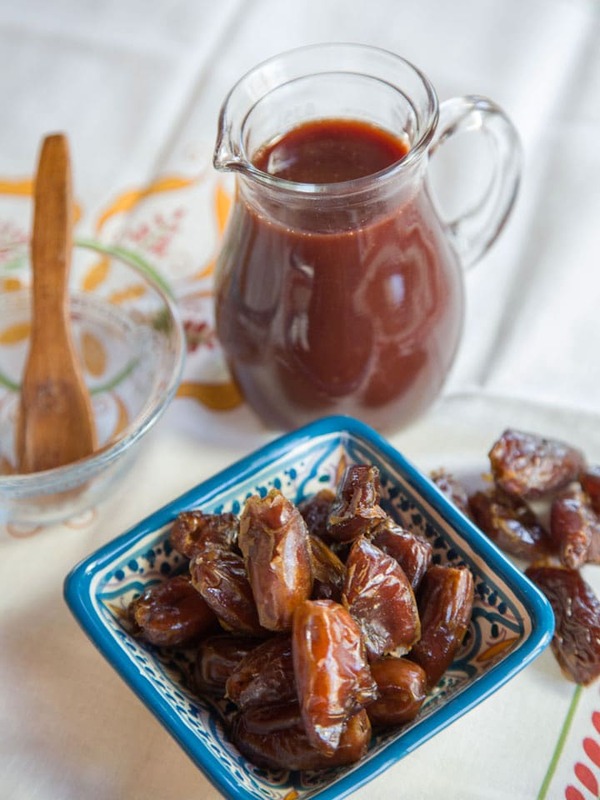 It takes a lot of dates to make a little date honey, so try to find your dates in bulk. I was able to find a two-pound package at my local grocery store for $5.50, which produces between 1 and 1 1/2 cups date honey. It’s a powerful, flavorful condiment and a little goes a long way. Definitely worth trying. Recipe for Middle Eastern Date Honey, aka Silan - sweet condiment syrup made only of pure natural dates. Place dates and water in a medium saucepan and bring to a boil. 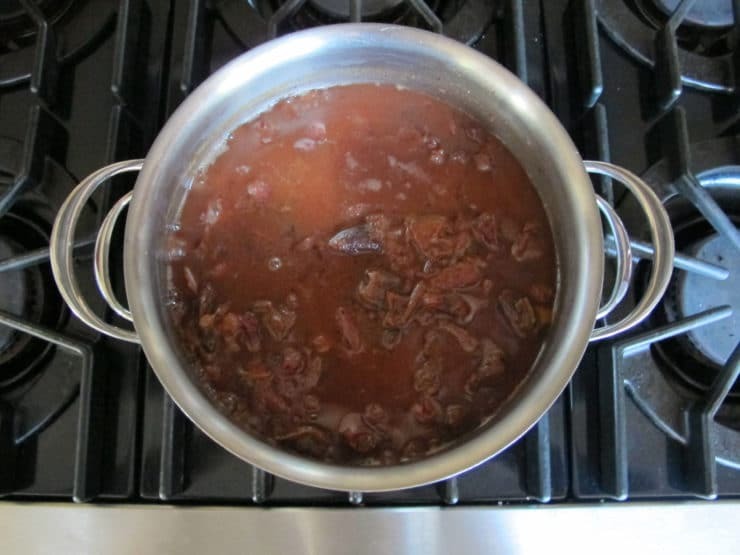 Once boiling, reduce to a low simmer and cook for 2 hours or until dates are very soft and starting to dissolve. 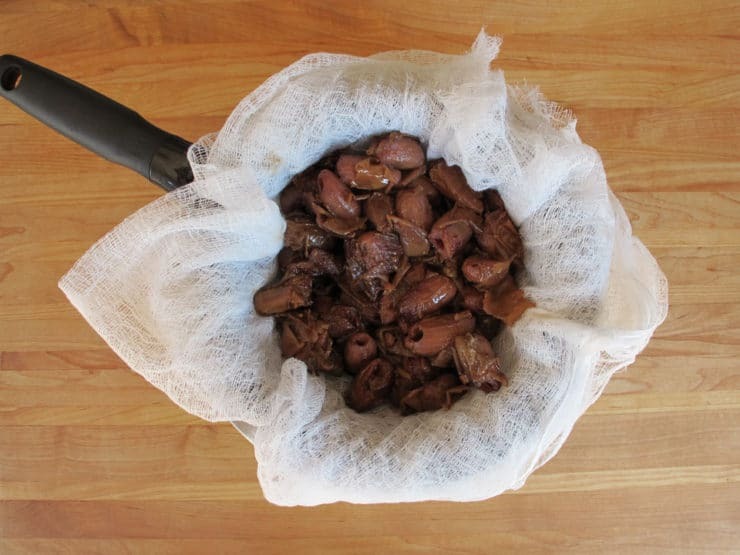 If mixture begins to look dry, add a little more hot water; dates should be mostly covered by liquid throughout the process. 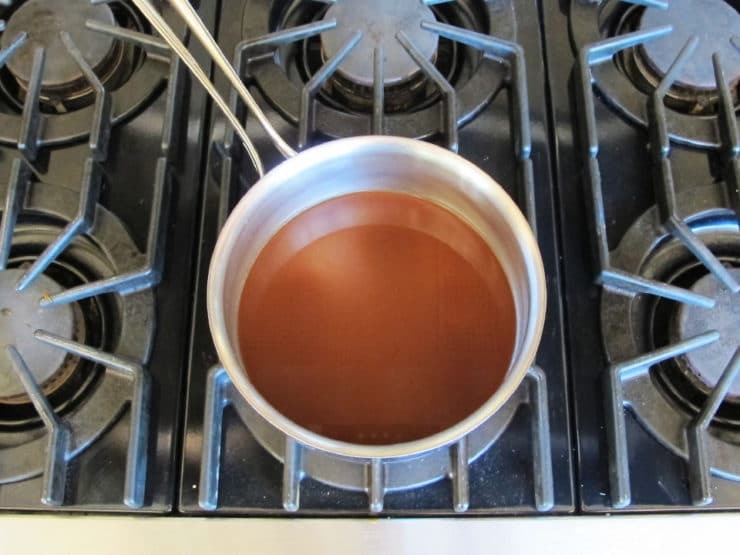 By the end of cooking the liquid should be thick and brown. Let the mixture cool to room temperature. Pour the liquid through a strainer lined with cheesecloth into a large mixing bowl. 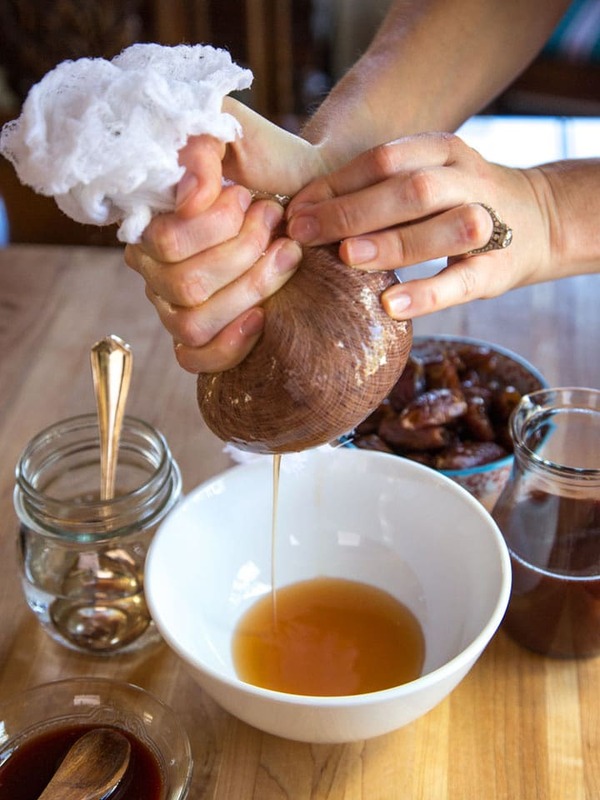 Add small batches of dates to the cheesecloth (about 1 cup at a time) and give them a really good squeeze, trying to get out as much of the liquid as possible. Remove the pulp and continue with the remaining dates. Clean out your saucepan and pour the strained date liquid back into it. Bring to a boil, then reduce heat a bit and simmer for another 20-30 minutes or until liquid thickens enough to coat the back of a cold spoon. It should have the consistency of thick maple syrup. Remove from heat. Date honey will continue to thicken as it cools. Once it reaches room temperature, it should be similar to the consistency of honey. If the mixture isn't thick enough for you, feel free to warm it up again and resimmer. Careful not to overcook or overthicken. Store date honey syrup in the refrigerator. Cold syrup will be quite thick, but it will soften quickly when brought out to room temperature. Nasrallah, Nawal. Dates: A Global History. London: Reaktion, 2011. Print. Vamosh, Miriam Feinberg. Food at the Time of the Bible. Palphot Ltd., Herzelia Israel. Print. Interview with Dr. Tova Dickstein, Neot Kedumim Biblical Landscape Reserve, Israel. Thanks for the recipe and the precise directions. I wanted to try making date syrup because I visited the land of Israel last year and enjoyed it. Mine turned out darker (maybe I overcooked it or maybe it was the dates– I used Medjool dates). Also, I didn’t realize you were supposed to simmer UNCOVERED for the 2 hours until I read the comments too late, so the next simmering stage took more than 30 minutes to reach the thickness. But the viscosity seems right and it tastes great. Excited to make again! Thanks for the recipe! I made this last year and am making it again for Rosh Hashana. 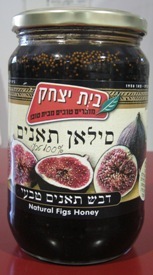 Date honey is the authentic honey referred to in the Torah. Hi. Thanks for your post. I tried doing this but mine turned out to be watery. It did not thicken despite long hrs of cooking. Pls can you tell me what u think went wrong. I used dried dates. Hi there! That is odd. My guess is that you started with more water than you needed. But any amount of liquid should cook down if you’re simmering it long enough. Eventually it will get syrupy. Maybe try a higher/hotter simmer of the liquid next time? Also make sure you cook they dates until they really start to soften and dissolve. This will help to thicken the resulting honey liquid. As a last resort to salvage this batch, you could blend some of the pulp into the liquid with a blender to thicken it slightly. It won’t have the perfectly smooth honey texture, but it will thicken it. 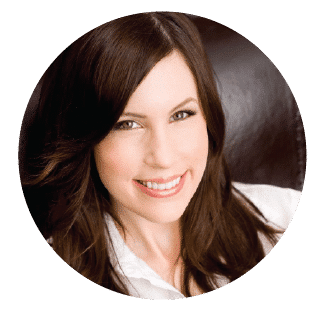 Hi Tori- Always stalking your recipes! Every single always has rave reviews. I know this is a older post however I have read thru the comments about what to do with the leftover dates. We make date balls another name are date truffles. 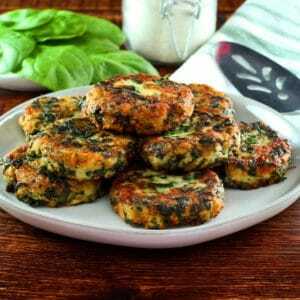 Love your site thank you for bringing new ideas to cook that are fabulous! When simmering the dates should the pan be covered or uncovered? I have made Date Syrup before and the final process of squeezing the juice through the cheese cloth is not a simple one – especially if a large quantity is being made. Is there a machine that can help with that “Squeeze” process or how do they make this product in Bulk? I made about 10 bottle (1 litre per bottle) – sealed the bottles and just left them in the pantry for up to 5 years – no problem – as long as bottle is air tight. Hi Jonathan, I’m not sure, I’ve only made smaller batches before. Try a potato ricer, works better than hand wringing. Perfect timing as I just found a recipe asking for date syrup. I hate waste. What do you recommend to do with all the dates? mix with a drop of lemon juice and spread over buttered bread. Tons of roughage and it tastes delicious. Your recipe looks great. I would like to bottle this in sterilised jars . I have read all the comments but would really love a time frame on how long this lasts please. Ie how long once first opened in fridge . What if unopened would this extend shelf life. Shalom Tori, tks for the recipe but I read somewhere that you need lime juice to preserve it. I think generally lime is used for keeping the shelf life how long does your syrup stay. Please let me know whats your take on this tks. Ninette I generally keep the syrup refrigerated, so it stays for quite some time. I’ve never added lime juice. I tried this with pressed dates rather than fresh and it came out very well. It was a shame to throw away all that date pulp, though. I almost ate that part plain, ’cause I LOVE dates! Next time I will try that part in muffins, as you suggest. Do the dates need to be fresh? Or can I use dried dates? Thanks! how much syrup does this recipe yield?? I didn’t see that info on the recipe. It says it next to “servings” on the ingredient card – 1 to 1 1/2 cups. Barbara– good question. I’ve never tried it. It might work, but I’m not sure how the timing would differ. Here in Israel, we can get silan (regular & organic) just about everywhere. It’s great!! I use it to replace molasses, which is horribly expensive here, in gingerbread for example. And here on Kibbutz Ketura (way in the south), it’s date harvest time too. Does matter if dates are expired? I was given a large bag dates and don’t like them but making this it become useful. Hi Shel, generally speaking I don’t use expired products, but dates are dried and may be a bit more forgiving in terms of shelf life. How far past the expiration date are they? Well it worked – almost. Now it is too thick – seriously thick (before it even hits room temp). Can I add hot water and bring it back up to a boil to thin it out? Hi Bobi– yes, you can, as long as it hasn’t become so thick that it is solid. For the best chance of saving it, try adding very hot water, which will integrate into the mixture better, and heat it slowly. I know it’s a bit frustrating at first, it takes time to get a feel for it. I reduced the amount of water called for in the recipe thanks to your comment, so hopefully it won’t take quite as long to reduce next time. Every stove is different and this is one of those things you need to make a time or two before it becomes second nature. Let me know how it goes! Well this is a bummer….. I feel like I can’t even boil water. Mine looks just like yours until the 20-30 min simmer. Still thin… let it go another 1/2 hour and no difference. I went out for the evening and let it cool to room temp – nothing, no difference. I just put it into the fridge and will hope it thickens by morning. Any suggestions? Hi Bobi, this simply means you need to simmer it longer. You really need to simmer it until it begins to thicken and has a somewhat maple syrup consistency. You can up the heat on the simmer (not a boil but a high simmer) to make the process go faster. Good luck! Do you use fresh dates or the usual pitted dates that come packaged in the supermarket? I’ve never seen dates right off the tree anywhere. Pitted dates from the supermarket. Tori–any idea what the used-up dates could be made into? Grind them up for muffins??? Myra that’s a great idea! The leftover dates are not nearly as sweet (a lot of the sugar is cooked out), but they contain a good amount of fiber, and I think they’d be great in muffins. I’ve been wondering the same thing – Tori, if you come up with a recipe that uses the leftover dates, I’d be indebted forever. Such a shame to throw them out! I love the education along with the recipe. It looks good, easy, and I bet tastes fantastic. It must be delicious. I love the dried fruit. I haven’t seen the fresh one. I make date paste and substitute it for honey on occasion. But this link is way cool. Thanks for the recipes!!! Thank you!!! I have been trying to figure out how to make this since Ihad it in israel in 2010!!!! Yay! Some scholars believe that the honey in “the land of milk and honey” is actually this stuff. It makes sense – can you imagine running around the desert for forty years and shlepping beehives with you? We are huge date eaters, but have never tried making syrup with them, this looks so good! Oh…I love it… Prachtig .. I love dates! Stuff em with Marscopone cheese! That looks way beyond delicious! Could you stir that into milk? So simple and yet genius! Love that it’s vegan too. I wonder how this would be drizzled over oatmeal for breakfast. was wine made from this honey? Lisa I think it probably would have been fine. I’ve kept it out for a few days with no issues, but I do recommend refrigerating it to be safe and to extend the shelf life. Honey has natural antibiotic properties. Dates don’t. First of all honey does spoil in very hot weather, and secondly here in N. Africa there is date syrup and we don’t keep it in the fridge unless it is very hot outside (August). By the way, Tamar has the same name in Arabic, too. I love dipping my apples in honey. I will have to use this. YUM! Nice and a great vegan alternative!